Christmas voucher trike ride was bought by the sister and her family of the Boland + Hoffmann Families. After a postponement because of rain, between us we organised another date. Our trike riders Craig and Steve picked them up from their home in the inner west. 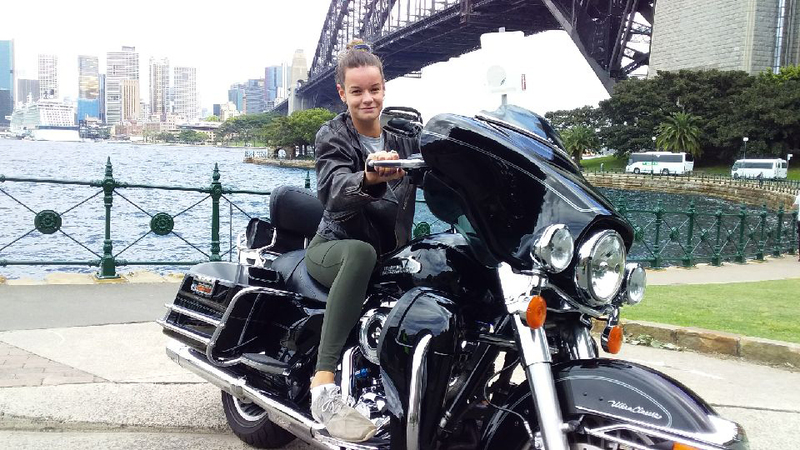 The ride was for 2 hours so they drove along Henley Marine Drive, past Mrs Macquarie’s Chair, over the Sydney Harbour Bridge to Jeffrey’s Wharf where they did the Kirribilli Loop. They continued on past the beautiful Balmoral Beach and Seaforth before returning home via River Road and the Gladesville Bridge. The Gladesville Bridge has wonderful views from the inner west towards the city and the Harbour Bridge.